Fibromyalgia Pain: Is It real or imaginary? In 1990, the American College of Rheumatology finalized the name and definition of a certain disorder involving chronic pains which used to come in different names. They now call it, Fibromyalgia. This disorder is determined primarily by the pain it brings to a person starting from a particular body part which can quickly spread to the rest of the body. Researchers attribute the fibromyalgia pains as based in neurological malfunctions resulting in the brain amplifying the pain signals to the different nerve endings. The painful sensations caused by fibromyalgia are characterized by stabbing, burning, or throbbing feeling which can be temporary or long-term. The pain intensity can also vary depending on the particular situation. There are noticeable signs to detect when one has fibromyalgia and these include having a so-called mental fog, sleep disorder, morning stiffness, and many others. There are different types of symptoms which can be different from one person to another. NOTE: The symptoms of fibromyalgia can also get complicated, adding more pain. It can be aggravated because of stress, fatigue, injury, or another illness. Meanwhile, other people can trigger their own fibromyalgia through the food they eat, chemicals around them, or their menstruation period. In many cases, fibromyalgia appears and co-exist with the patient’s present painful conditions, including but not limited to rheumatoid arthritis, multiple sclerosis, chronic fatigue syndrome, and myofascial pain syndrome. The patient with fibromyalgia can also find it difficult to sleep and can potentially acquire sleeping disorders which include sleep apnea, insomnia, and the so-called restless leg syndrome. Patients can also experience the so-called unrefreshing sleep. As of the present, there had been no definite lab test to provide proper diagnosis of fibromyalgia. Physicians will still need to first rule out different symptoms that are similar to fibromyalgia before they can fully determine that it’s truly fibromyalgia. For every person with fibromyalgia, no treatment has been found that can also be good for every other patient. While there are medications that can help treat this illness, it’s still best to consult with professional providers of chronic pain treatment in Telangana. Are you experiencing similar intervals of pain described here? When you need effective treatments, don’t go far from the Advanced Spine and Knee Hospital. 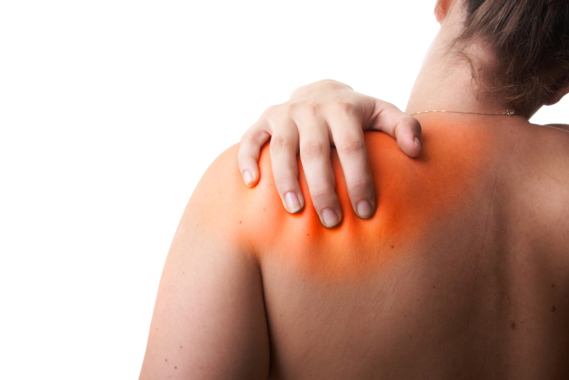 We can help you gain access to effective anti-pain treatments for fibromyalgia. Fibromyalgia is TRULY a painful business. It’s frequently observed that painful sensations intensify after the patient got injured or when they acquire a chronic illness. However, it’s very possible for the patient to survive longer despite this condition especially if they are provided with pain interventions every so often. This entry was posted in Fibromyalgia and tagged Fibromyalgia Pains, Fibromyalgia Symptoms, Fibromyalgia Treatment. Bookmark the permalink.